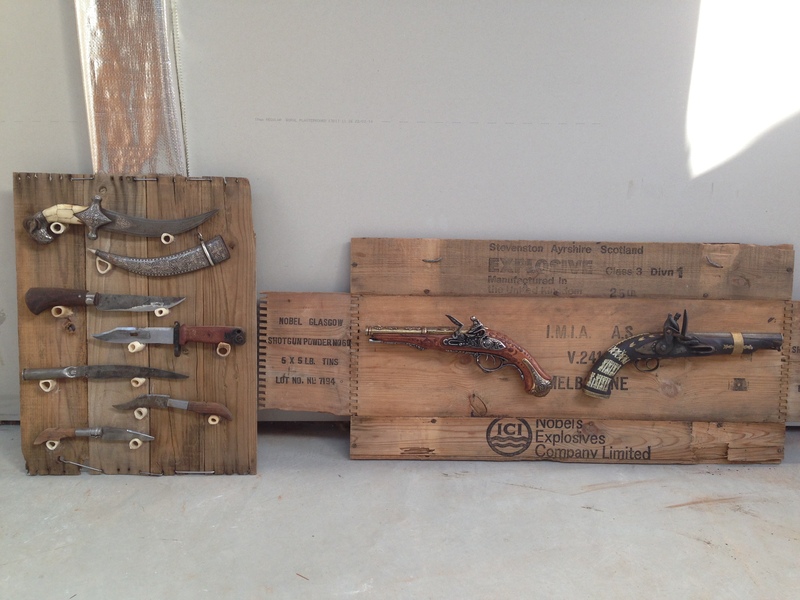 Here’s a rustic looking display that I knocked together for a couple of vintage-style pistols that I have. The wood came from an old explosives box that I picked up from a second hand shop, and that I dismantled and then glued back together flat. 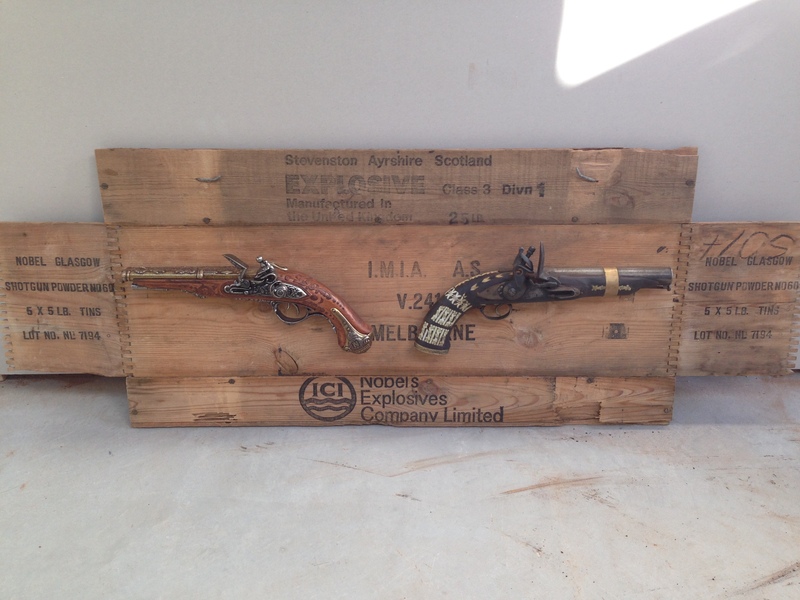 I think it makes the perfect backdrop for the pistols. 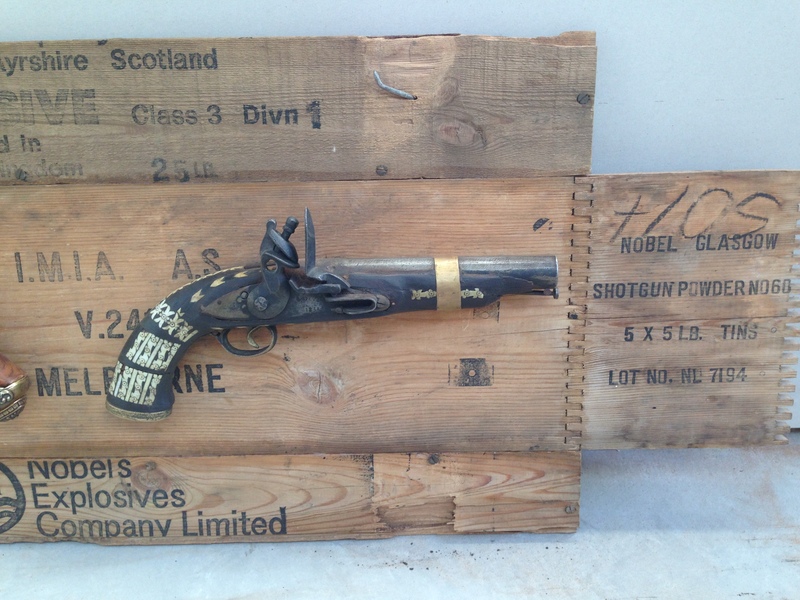 The pistol on the left is a replica of Napoleon’s pistol that he used at the battle of Waterloo. I was over in Belgium for work a couple of years ago and visited the battle site, where I picked up the pistol. The one on the right is one that I came across in Afghanistan. 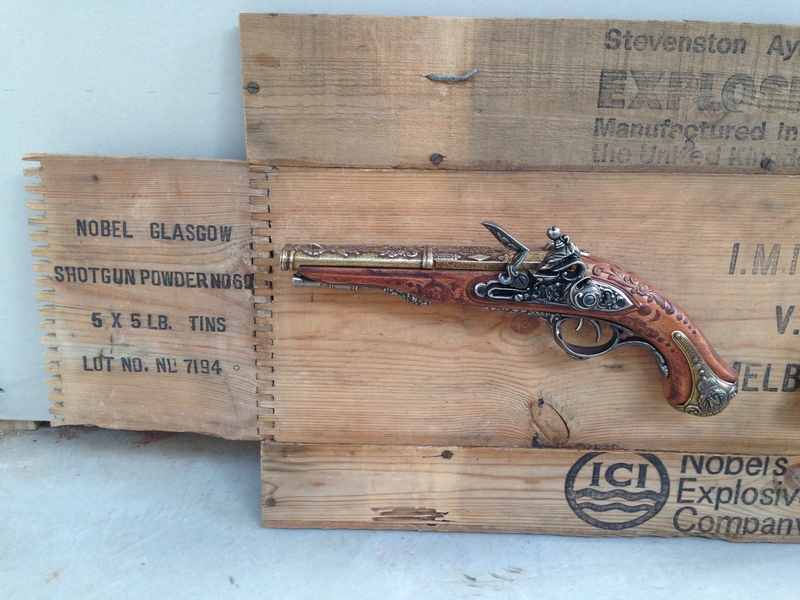 The inspiration for laying the pistols out like that comes, in part, from the old Guns and Roses emblem, which I figured a man cave and GnR go hand in hand!